Take your retail store to the next level with Hike’s brilliant, intuitive POS system that makes running your daily store operations a breeze. The brilliance of Hike lies in its multi-tool capabilities that gives retailers that perfect all-in-one solution to effectively manage their business. From inventory management, to eCommerce and even in-depth analytical reporting, Hike offers its users a robust POS system that is sure to ‘hike-up’ sales. Broaden your customer base by transforming your brick and mortar store into an online store with Hike’s online integrations. Sync everything from your inventory, customers and sales with eCommerce apps like Shopify and BigCommerce, and join in growing world of online retailing. Hike’s POS system is used in over 65 countries which means we’ve partnered with leading card-payment processors around the world, to make Hike even more accessible. Use card chip readers like PayPal Here, iZettle, Tyro & Vantiv to give your customers faster and easier payment transactions. Your inventory is a significant portion of your POS system and as such Hike has made it easy to manage and record your products. Gain real-time updates to any changes to your stock levels and even gain valuable insights into your best-selling products. Keeping an eye on your stock can be challenging, given that you’re undoubtedly performing a thousand tasks at once. But with Hike’s POS system, you can set inventory notification and automated reminders that will tell you exactly when a product is running low on stock. 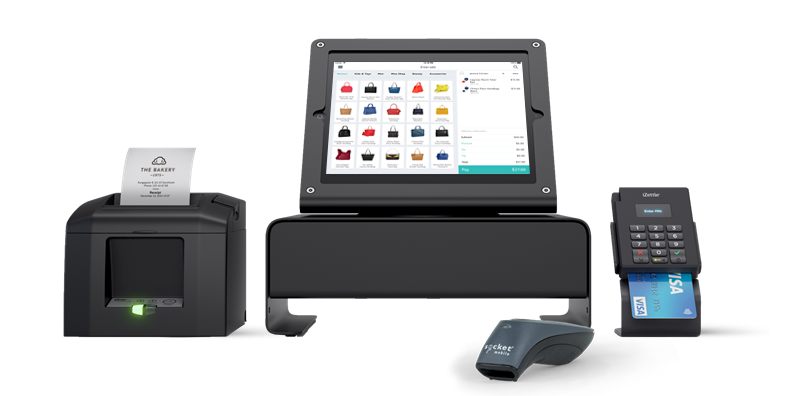 In utilising Hike’s POS system, retailers benefit from a stunning user interface that makes running a store so much easier. Uncluttered, with your products beautifully visualised, Hike POS oozes sophistication making it easier to draw up sales for your staff. Hike’s integrated loyalty program is the perfect way for retailers to keep customers coming back. Repeat business is crucial for any retailers, building upon sustained traffic and with just a click of a button you can begin rewarding your loyal customers on Hike POS today! Whether you want to add one new store or a hundred, doing so on your Hike POS system is a breeze. All outlets and registers can be managed straight from your POS. It really is that efficient, and best of all as a cloud-based system, there are no hidden networking costs! We’re mindful of the fact that setting up your iPad POS may sound like an arduous task, but have no fear as Hike has made the process as simple as it possibly could be! With our range of support guides, instructional videos and 24/7 live chat support, you’ll be a Hike expert in no time at all.